The most celebrated product of Chios is the unique and world renowned Mastic of Chios; it is cultivated in the southern part of the island, and according to recent academic research it has been proved to have stomach healing virtues. “Tetteris” Chios Mastic Liqueur is produced from authentic Chios mastic, through a distillation process that differentiates it vs. its competitors.”Tetteris” distillery was the first to distil the “prodigious tears” of mastic trees, since the beginning of last century, creating a superb liqueur that encloses the entire islands history in its flavor. According to the local tradition, Mastic liqueur is best served with desserts or with coffee. 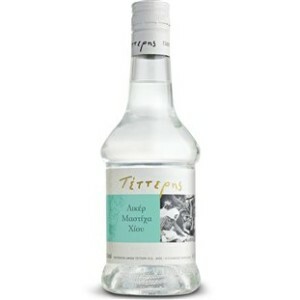 Today, the traditional Tetteris Chios Mastic liqueur is also an excellent choice as a shot, always chilled, or even as an aperitif served in a stem glass filled with crushed ice. 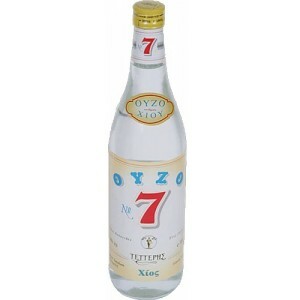 The traditional distillation, combined with scientific knowledge and modern technology, has given this pleasant ouzo a soft and pleasant mouth. Strictly selected seeds of Chian anise showcase after distillation their richness in aromas and flavor.